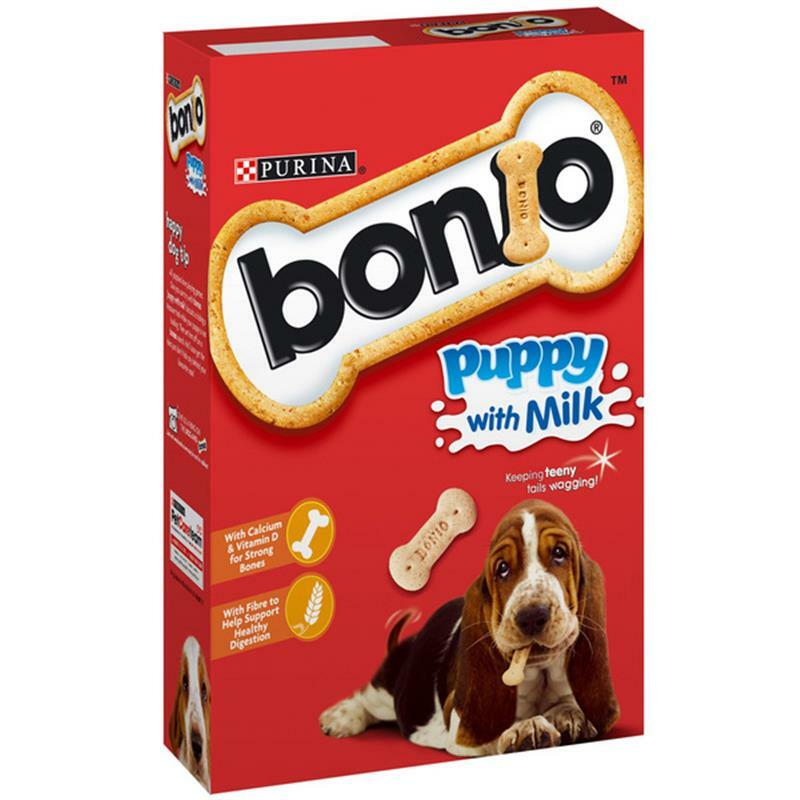 Bonio With Milk Puppy Treat - 350g. Every single yummy Bonio biscuit is lovingly and traditionally oven baked. In fact, Bonio have been baking biscuits in this way at the same factory since 1932..... of course with that ever reliable quality. Specially prepared to suit your puppy's nutritional needs ...and smaller in size, they are great for their little teeth and tums.